I read this article and found it very interesting, thought it might be something for you. The article is called Healthy Vending Integral to Employee Happiness and is located at http://www.healthyvending.com/blog/healthy-vending-integral-employee-happiness/. Outside Magazine recently compiled its list of Best Places to Work and named Team One, based in Los Angeles, as #30. We are proud that our healthy vending machines and their healthy office snacks were listed as top perk for the employees behind this award-winning advertising agency. For information on making your office a “Best Place to Work” with SnackNation, a healthy vending machine or micro market, please click here. We’d love to get to know you and answer all of your questions! 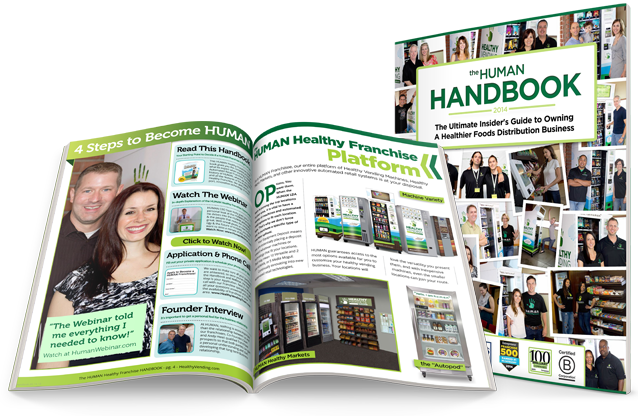 © HUMAN Healthy Vending, HealthyVending.com, 2014. Unauthorized use and/or duplication of this material without express and written permission from this blog’s author and/or owner is strictly prohibited. Excerpts and links may be used, provided that full and clear credit is given to HUMAN Healthy Vending with appropriate and specific direction to the original content.